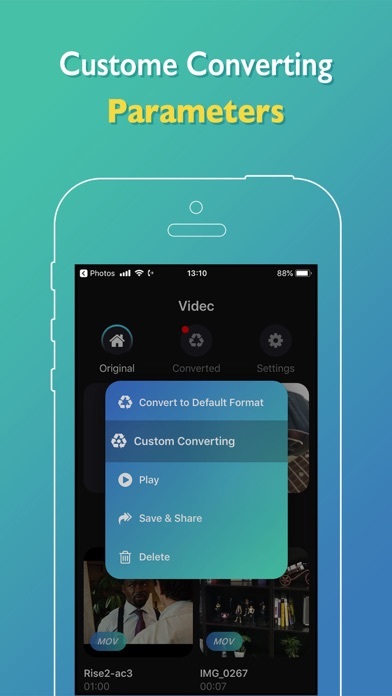 Videc /'vɪdik'/ can quick and easy to convert or edit any video formats. 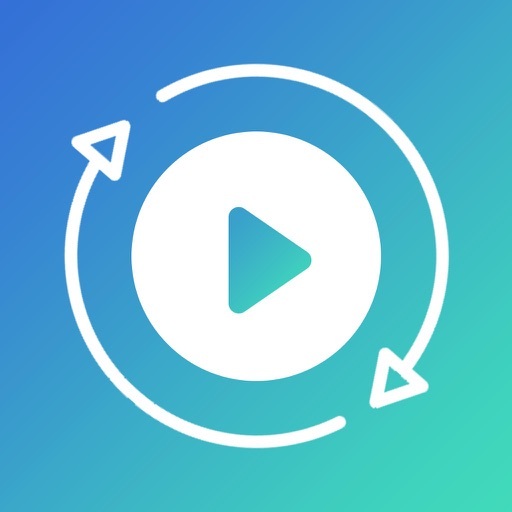 Videc supports various types of videos (MP4, MOV, MKV, MPEG, 3GP, AVI, 3G2, ASF, WEBM, WMV, FLV and so on) and various types of audio (MP3, AAC, OGG and so on). 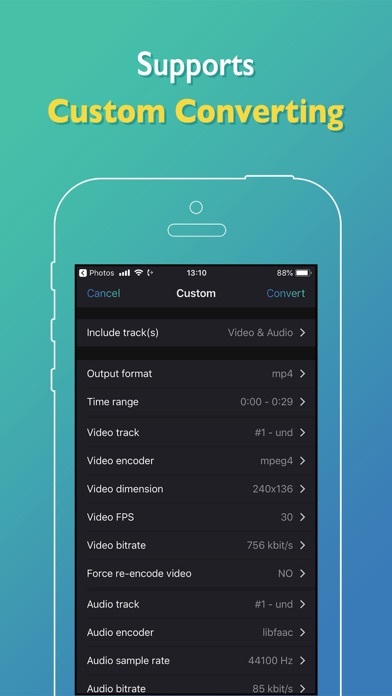 By using Videc, you can easily edit or convert your videos. 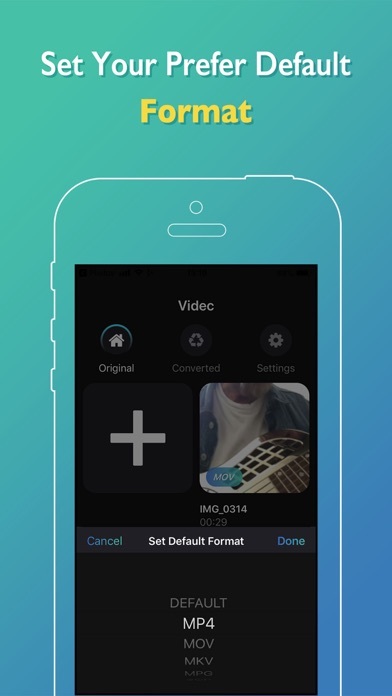 You can edit the range of the video. It also support custom setting. You can change the bitrate to reduce the size of file. 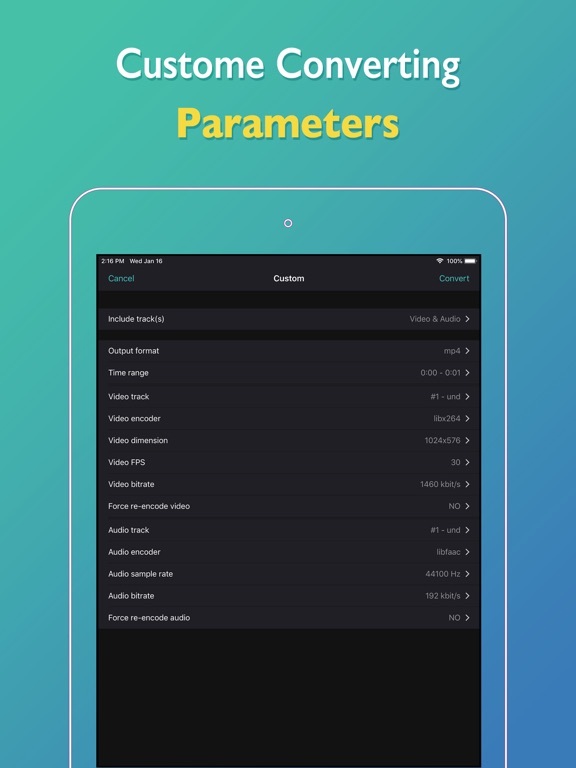 You can even edit format, bitrate, sample rate, and other meta information. 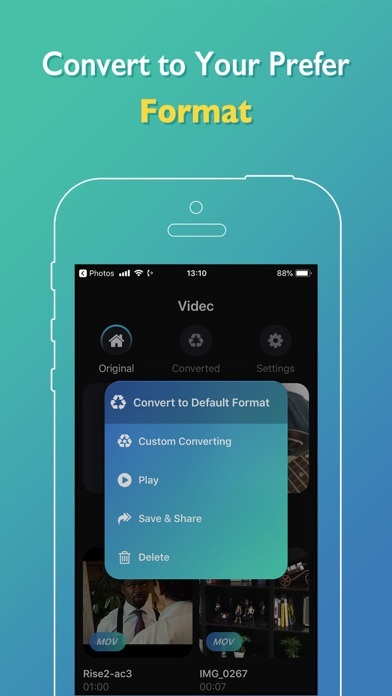 You can extract the video or audio and share it to 3rd app and watch or listen to it later. 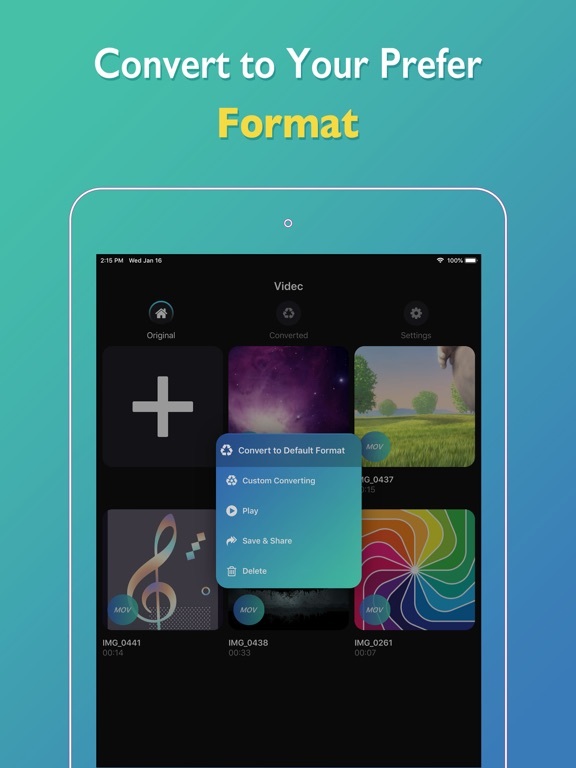 It has built-in video player too. 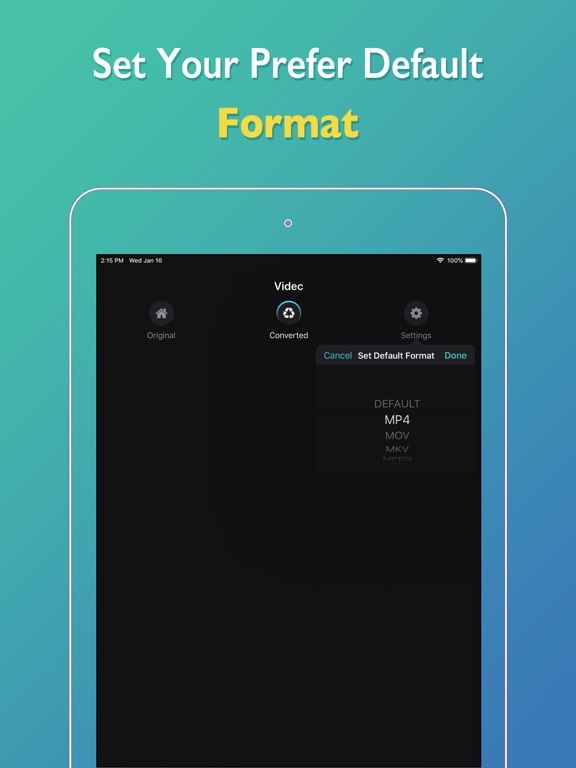 it makes you more easy to watch any type video. It has built-in music player too. it makes you more easy to listen any type music. 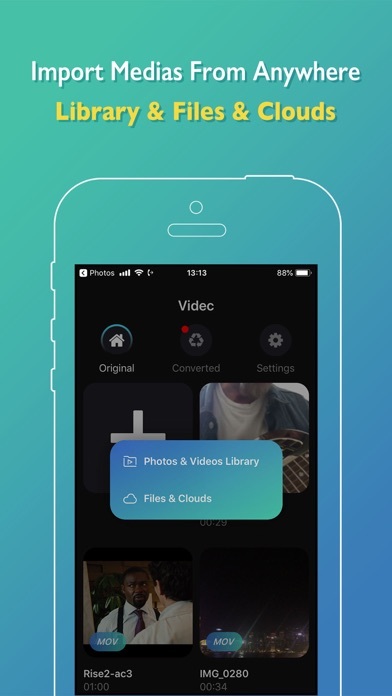 * Save or share files to phone, Files, clouds etc. 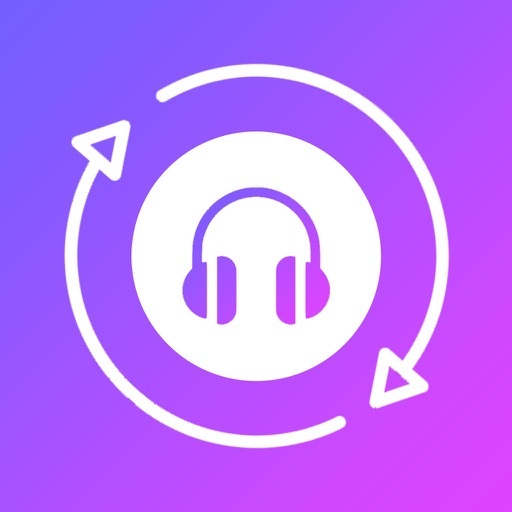 Are you looking for a MP3 converter or audio converter? We have also developed a powerful audio converter, named Audic - Audio MP3 Converter. Please just try it.